The Dark Knight vs the Joker chess set is a very cool idea for any fan of The Dark Knight movies. This set is great for a collector because it has been officially authorized by Warner Brothers. There are detailed chess pieces that feature all of the main characters. Pieces include The Joker, Batgirl, Batman and Harley Quinn. 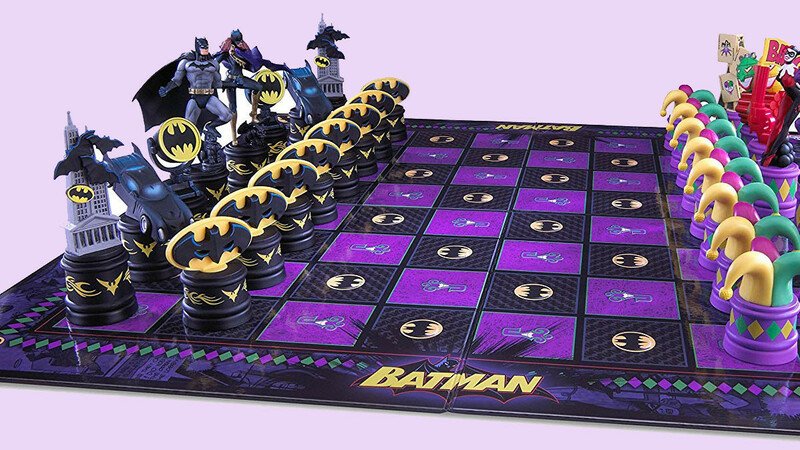 The included chess board measures 18.5 inches by 18.5 inches and it features the Batman logo. Pieces vary in size and are between 2 and four inches tall depending on the character. This is a brightly colored set that is fun to play with and looks cool on display.